my custom Gavril driving in the morning! Hey I have a very important question. What is that map with the train running on it? I've been told before but I seem to have lost that comment. 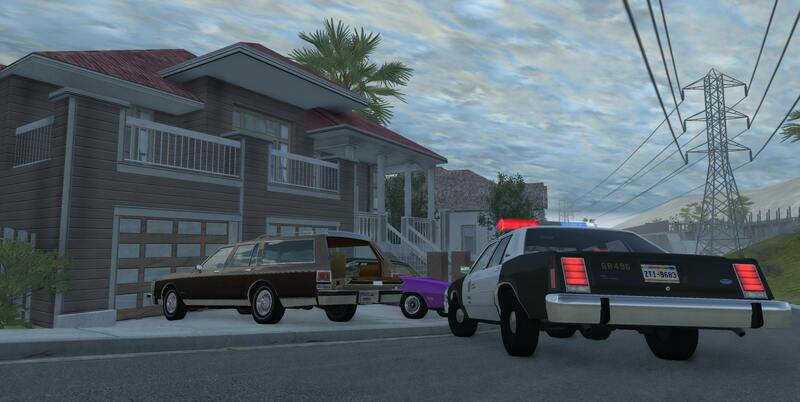 were is that Ford LTD Crown Victoria from ? View attachment 463631 Hey I have a very important question. What is that map with the train running on it? I've been told before but I seem to have lost that comment. Also Roane County has tracks, but search for modular rail kit for a kit to make your own tracks on any map. Desert runway and Deadzone maps also have tracks. I think I took the corner a little fast.